Sciblogs | Mapping NZ’s startup ecosystem – An Aussie beats us to the punch! Mapping NZ’s startup ecosystem – An Aussie beats us to the punch! Have a look at this, and click through the link that goes with it. You’ll find this Startup Ecosystem Mindmeister map by Phil Morle, fascinating (well probably). It provides a pretty good overview of everything New Zealand for innovation and new products and services and support and capital and funding and……the lot. Now, this screen grab in no way does justice to the totality of what Worle’s created ….. and this creation is in the realm of ‘why didn’t I think of this first’. 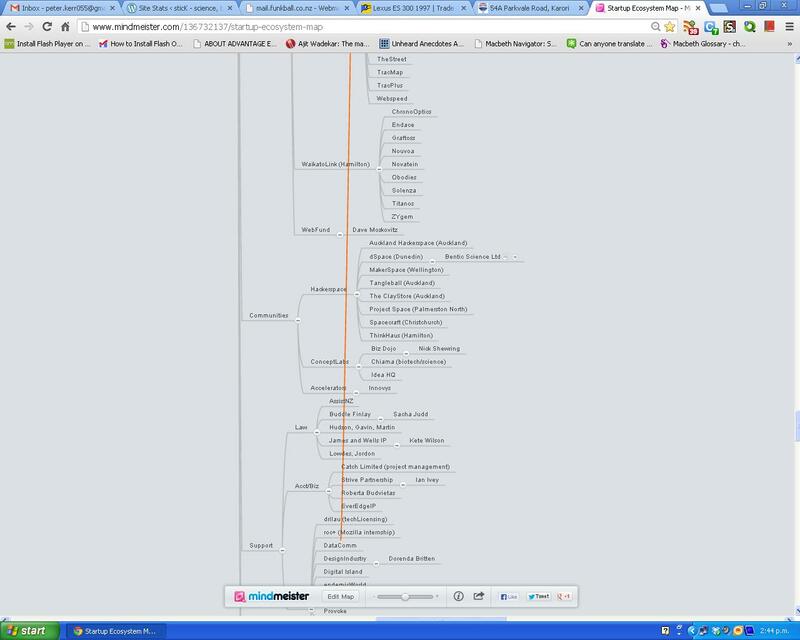 I strongly recommend you go here, to the Mindmeister map itself and have a look see and exploration. This is even more impressive when you realise Worle’s Australian, and CEO behind Pollenizer, a Sydney and Singapore ‘Startup Science’ entity. The map also extends and connects to Australia, Singapore and Greater China – though you’d have to think that there’s much more missing from those countries (given the comparative size of the connections) than for Godzone. Bree Clare from the Pollenizer team made the comment too for others to use and add to the map. “The biggest threat we have in our work is not knowing who to talk to. That’s why we built it,” she says. Even sticK is included – demonstrating that Worle and his team must really know their stuff! FYI: whilst I responded via the original Silicon Beach Australia group in putting up most of the NZ entries, I am Kiwi born and oscillate between Sydney, and China so technically not strictly beaten by Aussies … and when I visited Pollenizer, there were some differences compared with Icehouse that I blogged elsewhere.